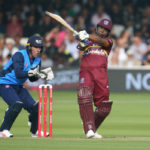 Watch the West Indies’ crushing 72-run victory against the World XI in their hurricane-relief clash. Cricket needs a strong West Indies like a fish needs water, and tonight we saw signs of a West Indies resurgence. There will be no Proteas in the ICC World XI that will play in the fund-raiser T20I against the Windies at Lord’s on 31 May. 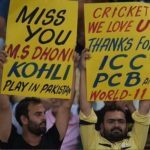 Twitter reacts to Pakistan’s 2-1 series win against the World XI. Faf du Plessis’ World XI were outclassed by Hasan Ali and Ahmed Shehzad as Pakistan claimed the T20I series 2-1. Hashim Amla scored an unbeaten 55-ball 72 as the World XI beat Pakistan by seven wickets to level the three-match T20I series at 1-1. 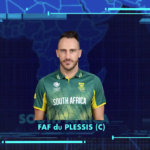 Faf du Plessis sees his role as captain for the World XI’s clash against Pakistan as an opportunity to grow himself as a leader. 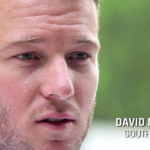 David Miller is yet to play in Pakistan, and talks about the honour of bringing cricket back to the country when the World XI take on Pakistan on Tuesday. 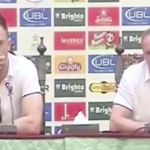 Hashim Amla says he wants a slow and safe return of international cricket to Pakistan. Five Proteas players, including Faf du Plessis as captain, have made the World XI squad that will tour Pakistan from 12 September in Lahore. 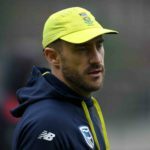 Faf du Plessis will captain the World XI side to play Pakistan in a three-match T20 series, starting 12 September in Lahore. 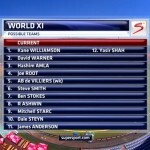 The SuperSport analysts have picked a World XI with Hashim Amla and Dale Steyn making the cut.